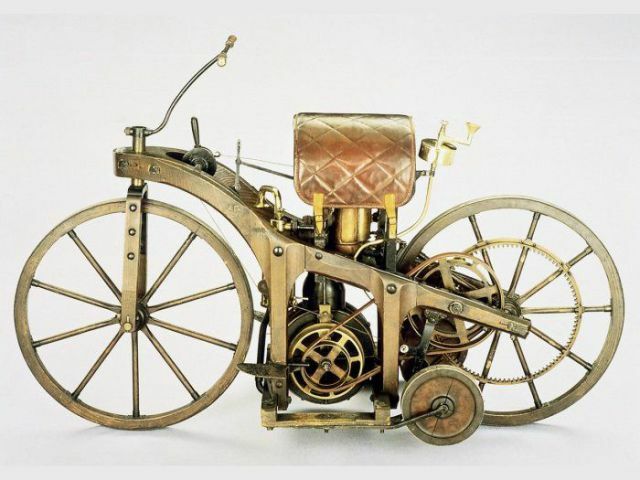 The world's first internal combustion motorcycle was developed by Daimler in 1885. It was called the Reitwagen (riding car) and reached 7 mph (12 km/h). Was also the first petrol engined vehicle that someone had an accident on.